If your winter services in Elizabeth include the use of a Utility Vehicle, be sure to maximize your efficiency by putting a hopper spreader on it that is designed to specifically fit the bed lengths and weight restrictions of a UTV. 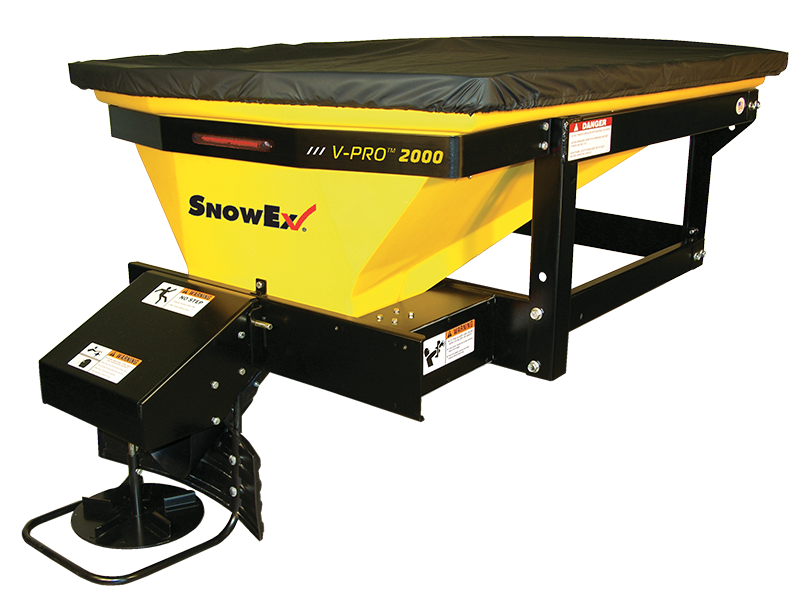 Shorter and lighter than truck bed spreaders, the V-Pro SP-2000 UTV hopper spreader helps you take your snow and ice operations to sidewalks, bike paths and driveways. Dual variable-speed digital control allows independent control of spread pattern and material flow. Transverse auger transmission powers material through the spreader easily and efficiently.